NoSQL database usage is growing at a stunning 50% per year, as organizations discover NoSQL's potential to address even the most challenging Big Data and real-time database problems. Every NoSQL database is different, but one is the most popular by far: MongoDB. 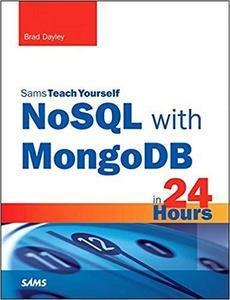 Now, in just 24 lessons of one hour or less, you can learn how to leverage MongoDB's immense power. Each short, easy lesson builds on all that's come before, teaching NoSQL concepts and MongoDB techniques from the ground up.